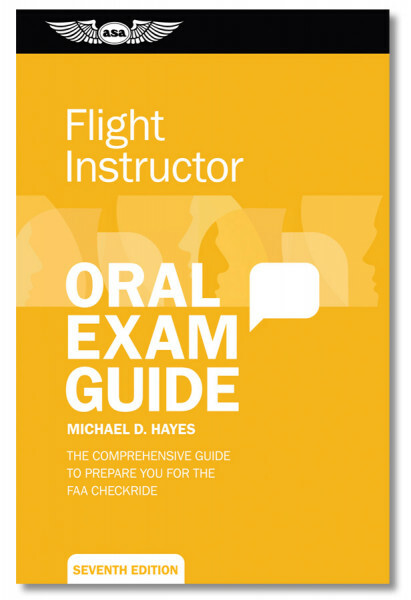 Format: Softcover, 5-1/4" x 8-1/4"
This Sixth Edition for CFI applicants includes “Fundamentals of Instruction” questions covering the subjects from the FAA’s Aviation Instructor’s Handbook (FAA-H-8083-9A). The latest Practical Test Standards are accounted for, including “steep spirals” and “180-degree power-off approach” flight maneuvers. References are included with each explanation for the reader to research further as necessary. This revised edition now includes a new chapter on “Scenario-Based Training” by Arlynn McMahon (author of Train Like You Fly and Lesson Plans, recipient of the 2009 Flight Instructor of the Year Award, and 2010 NATA Award for Excellence in Pilot Training).